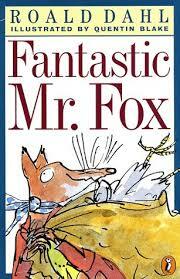 We are reading Fantastic Mr. Fox by Roald Dahl and we are learning that words can have different meanings. Did you know that sometimes words can mean more than one thing? Mad – Mad can mean angry. It can also mean crazy. In the story the people in the town people thought the farmers were mad (crazy) for digging a hole the size of a crater to catch some foxes. Boil – Boil can mean to heat water until it bubbles. It can also mean a sore on your body. Boil can also mean to be really really really mad! We learned 2 new meanings for the word boil in the story. Farmer Boggis has a boil on his neck that was itchy. And the farmers were boiling mad at the foxes for stealing their chickens. Whacking – We all thought that the word whack just meant to hit someone. But in the story the word whacking meant fun. That was new learning for us! When Badger was talking to Mr. Fox he said they were going to have a great whacking time at the feast. To figure out what words mean when we read we have learned how important it is to read more than just the sentence with word. We have to read other sentences before and after the word to look for clues the author has left for us. That is how we figure out what words mean. Are you reading books with words that have more than one meaning?